Italiannies Pasta Pizza & Vino, the popular American-Italian eatary has recently opened their sixth outlet at Pavillion KL Shopping Mall. 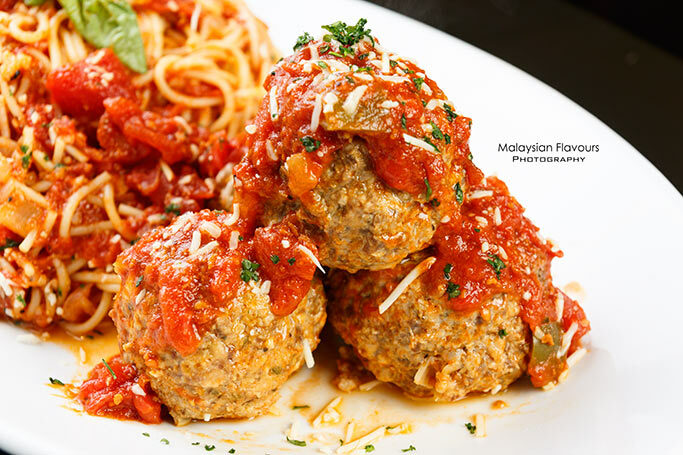 This new opening adds joy to their ten years celebration this year, indicating continous growth and success of Italiannnies after the five outlets in KL, Klang Valley and Penang, which located at The Gardens Mid Valley City, The Curve, Empire Shopping Gallery, Paradigm Mall and Gurney Paragon. Another new Italiannies outlet will be launched at Alamanda Shopping Mall Putrajaya by end of this year. 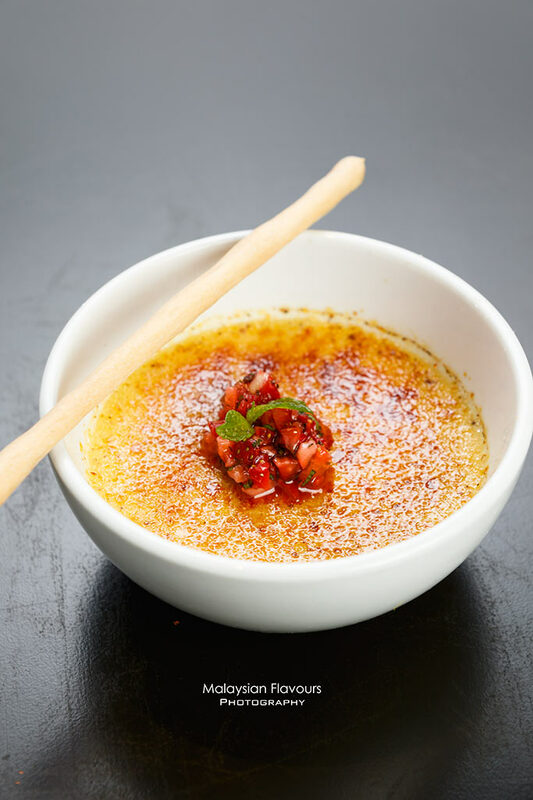 The latest outlet at Pavillion KL Shopping Mall houses a spacious area at sixth floor, situated between Din Tai Fung Xiao Long Bao and Grandmama’s Restaurant specializes in local delights. The whole interior is welcoming, putting together soft lighting, wooden furnishing, exposed bricks wall, sepia-toned framed photographs to sum up raw, rustic Italian charm with a touch of modernity. Generally, pastas and pizzas take the limelight in Italiannies. 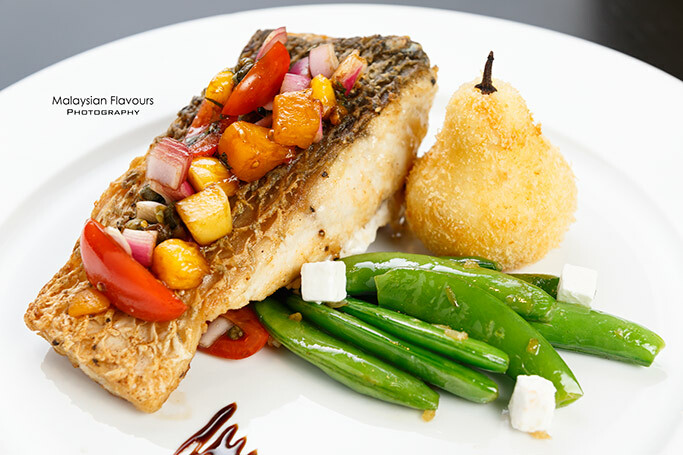 Despite so, other dishes such as salad, soup, stuffed mushrooms, grilled chicken, strip loin, pan fried barramundi, etc., are worth trying out too. 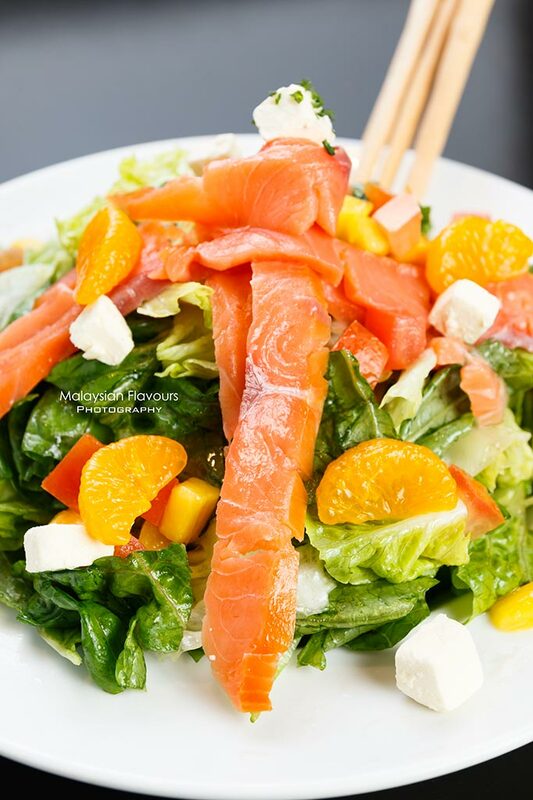 A refreshing combination of mango, mandarin orange, tomatoes, baby spinach, romaine letture and cream cheese tossed in orange vinaigrette dressing. Plenty of tanginess and fruity goodness in every munch, flavours enhanced with smoked salmon, and mild saltiness of cream cheese. One of the highly recommended starters on Italiannies menu. 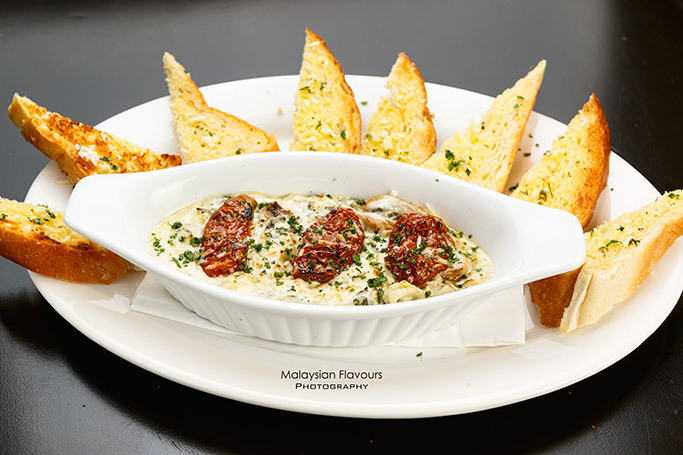 Spinach, artichoke and mushrooms blend into very creamy, thick and rich flavour fresh cheeses, topped with sun-dried tomatoes for a zesty twist. Slather them on toasted garlic bread and experience the texture contrast between crunchiness of bread with soft, deep flavour of cheese. At Italiannies, they believe that food is meant for sharing, as sharing is the most enjoyable moment during dining time. That’s why they highlights “Abbondanza”, the Italian word for “abundance”, also signifying the huge platter in sharing size. Hence, the restaurant encourage diners to visit Italiannies with more friends and big appetite! Or course, you will be served with food portion enough to fit at least two for Abbondanza order. 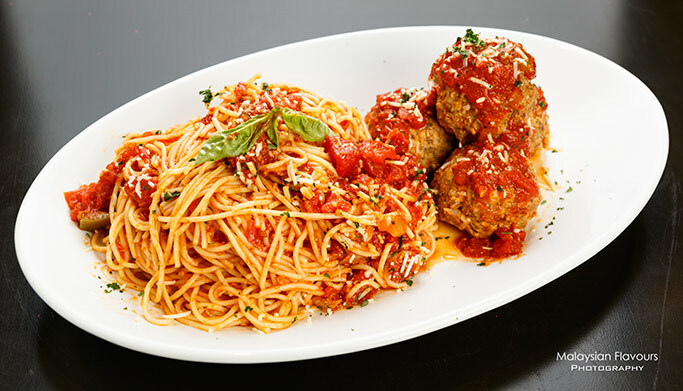 Take their Spaghetti & Meatballs as example, it arrives in hearty portion with homemade beef meatballs in Tennis Ball size and spaghetti in Italiannies signature marinara sauce. 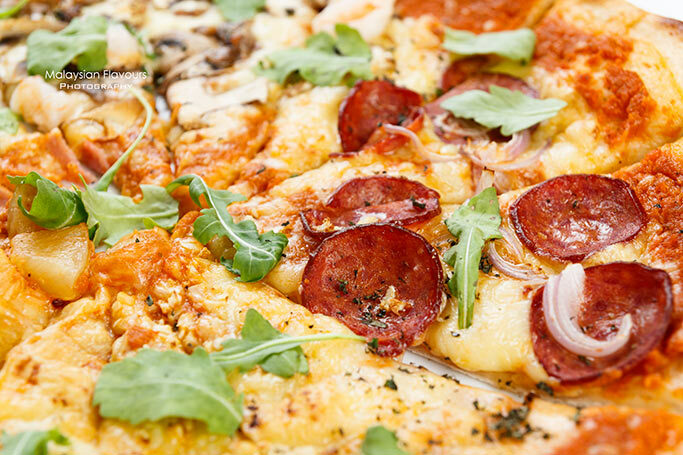 Interestingly, Italiannies serves two types of pizza dough, called Rustic Dough and Traditional Dough. Rustic Dough is prepared by blending semolina and the finest farina flour together, giving more crunchiness and chewiness, nutty flavour and its characteristic shape. Traditional dough goes back to the classic, made using premium quality bread flour. It is proofed for 3 hours and served individually to achieve softer, fluffier dough. 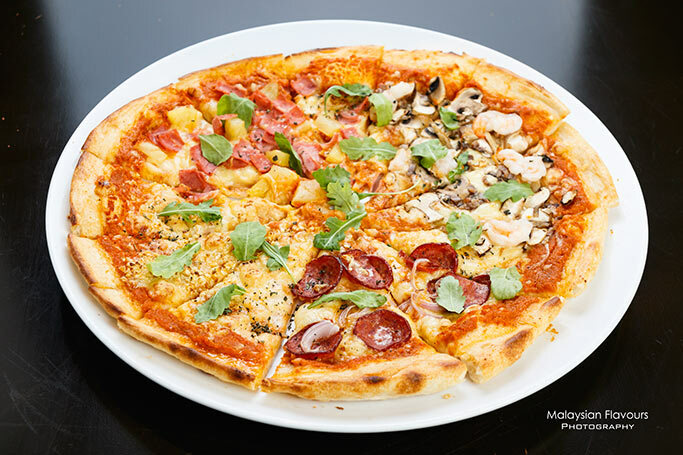 Due to certain limitations, currently, the outlet at the Gardens Mall Mid Valley KL is the only Italiannies which can use wood oven for baking pizza. However, no worries as their pizza in all outlets taste equally delicious, thanks to strict monitoring over the food quality in each outlet. Personally, we prefer Rustic Dough over Traditional dough. 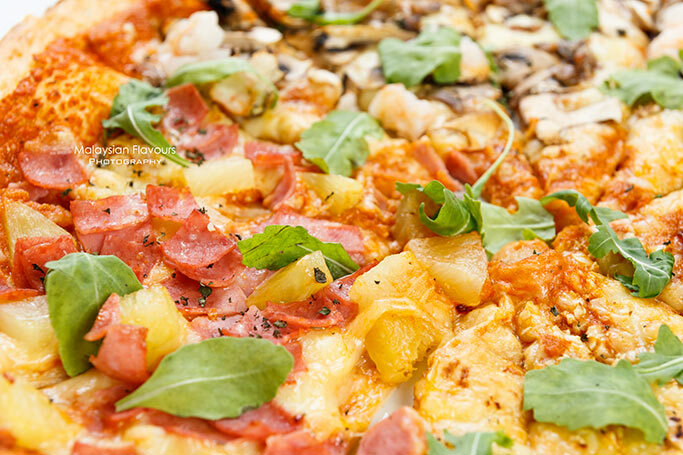 We have it as the base for our Pizza Enorme, a 16″ inch giant pizza comes with four type of toppings- Pepperoni, turkey ham & pineapple, shrimp & mushroom, and roasted garlic with a pomodoro sauce. 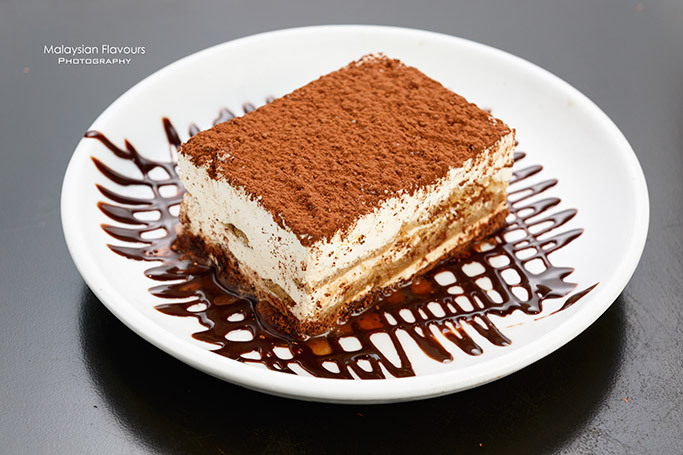 End the meal with Italy’s all-time-favourite dessert- Tiramisu. Carefully made from scratch, Italiannies tiramisu comprises of lady finger cookies dipped in their secret recipe, layered with macarpone cheese, finished with dark cocoa powder. 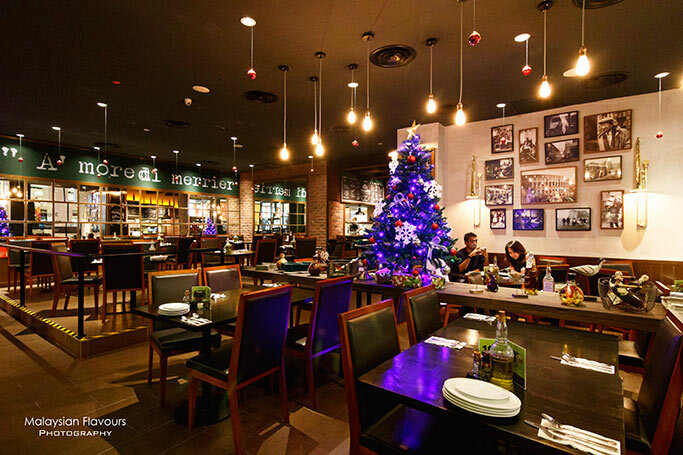 In conjunction with the coming Christmas and New Year, Italiannies has prepared 3-course Set Menu starting from RM45.90++, available on 24th, 25th and 31st December 2014. The gimmick? These special dishes are pleasantly infused with ginger, mint, cloves, nutmeg and cinnamon – spices that epitomize the taste of festive season. Contact Italiannies at numbers below for further reservations, or email at usersupport@italiannies.com.my.